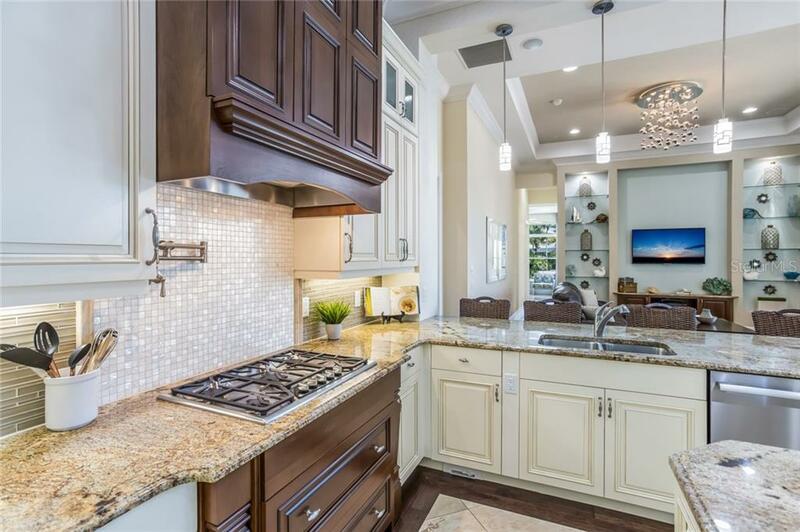 Ask a question about 633 Regatta Way, or schedule a tour. 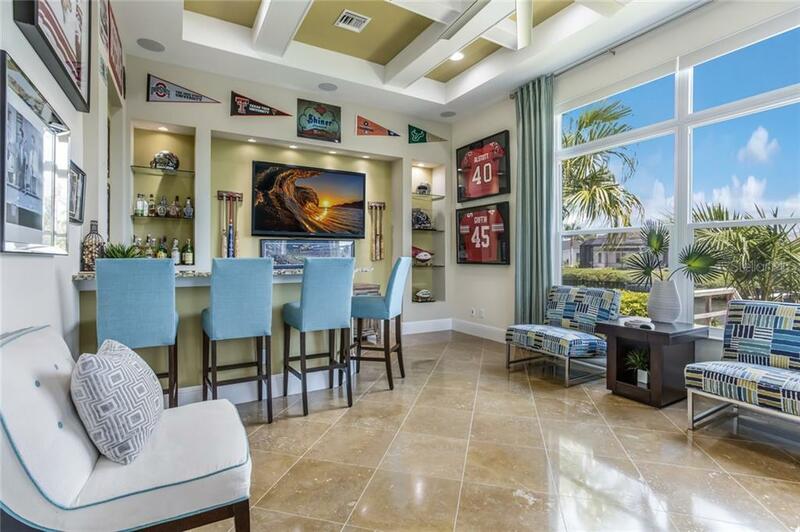 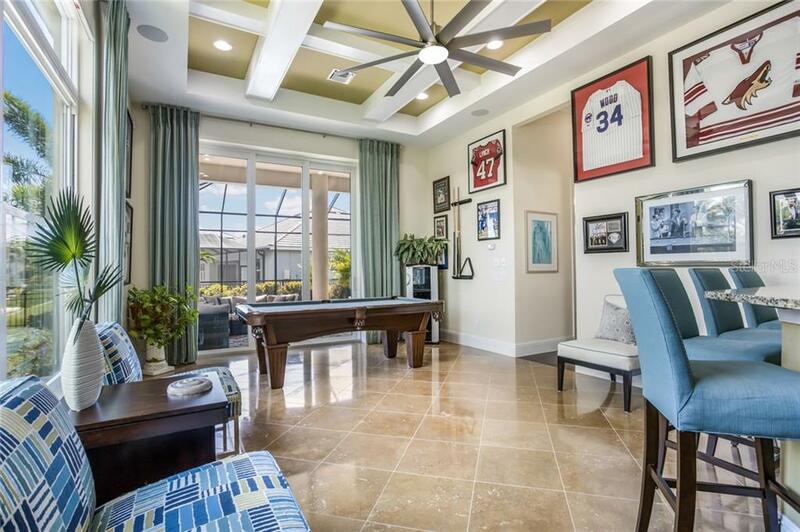 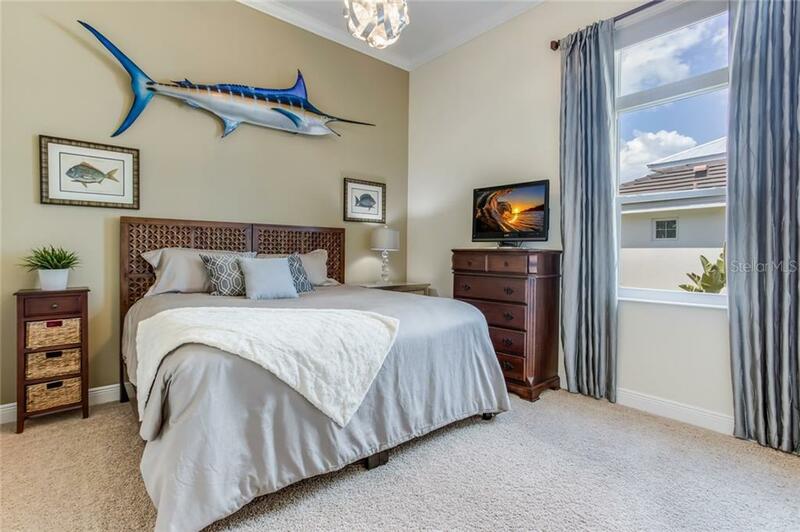 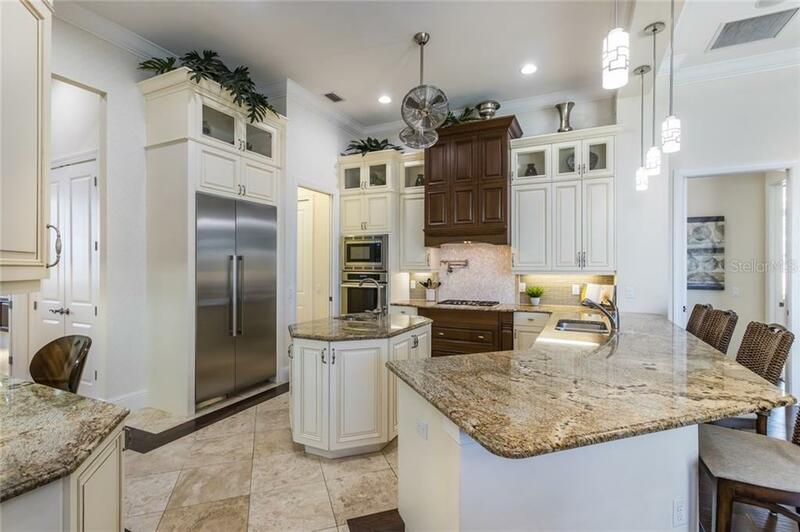 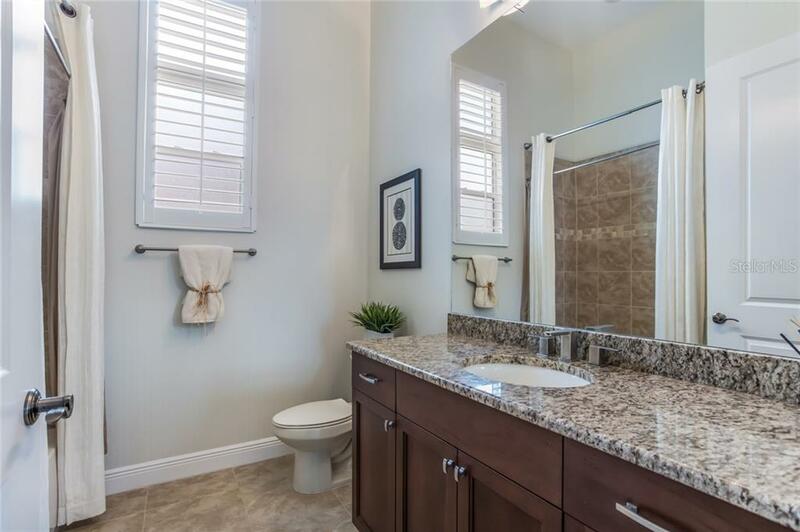 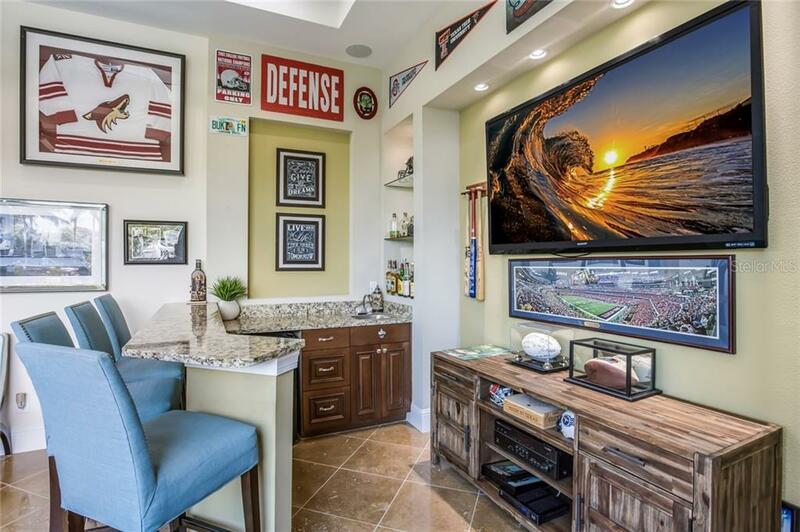 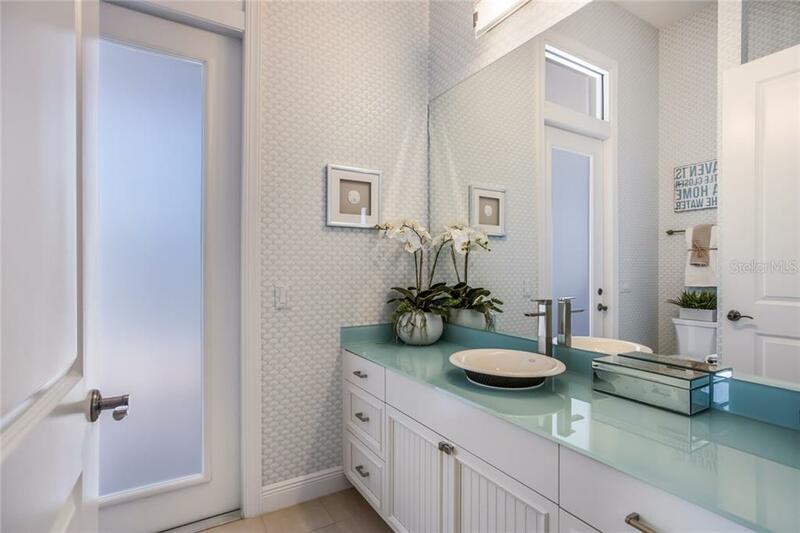 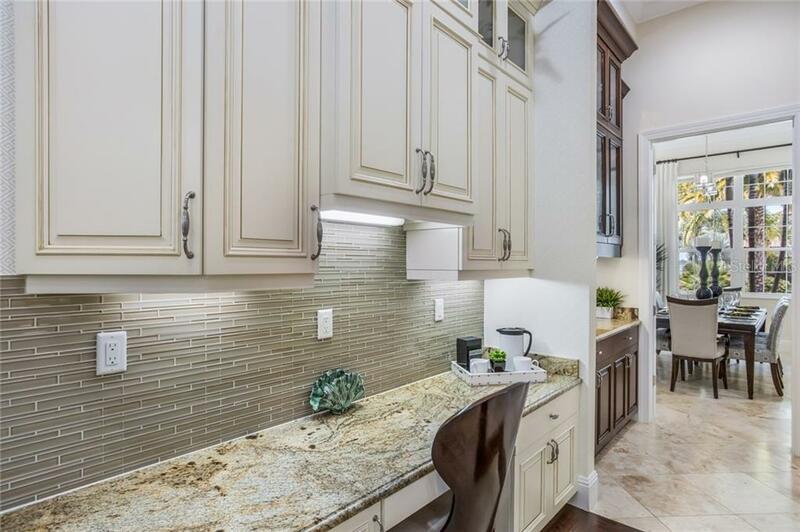 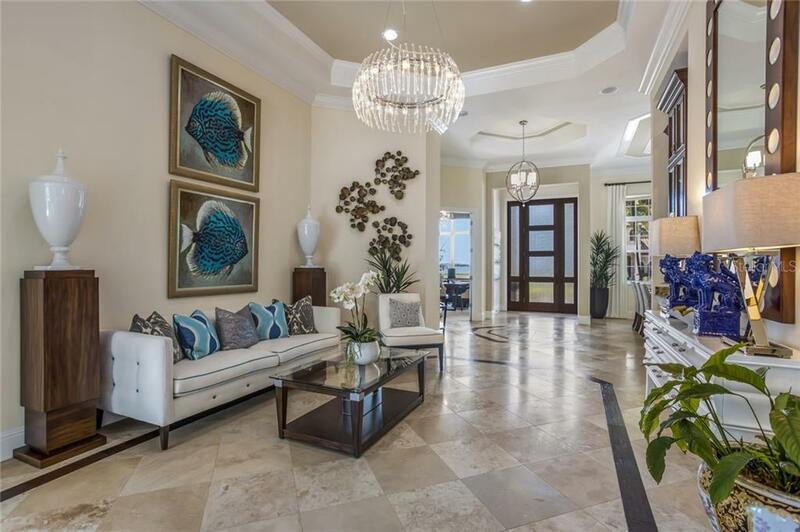 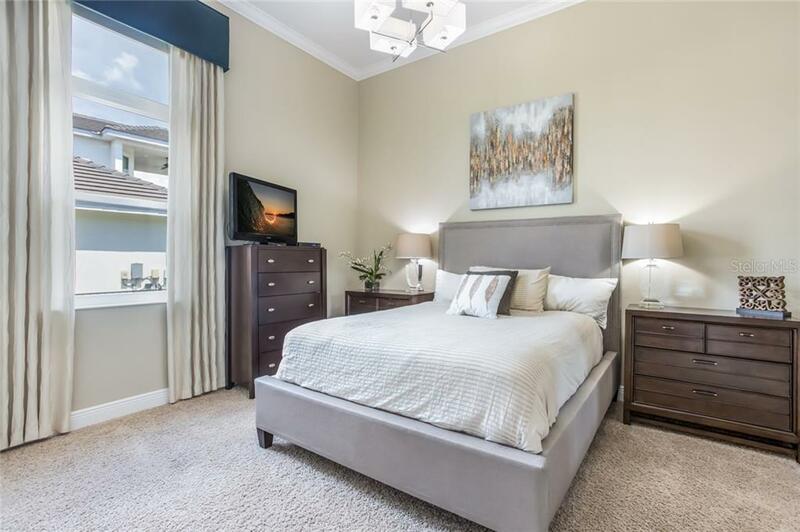 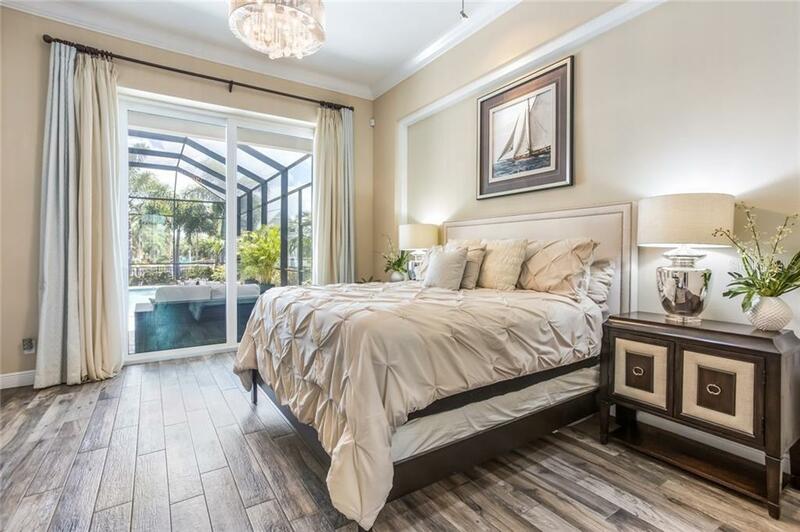 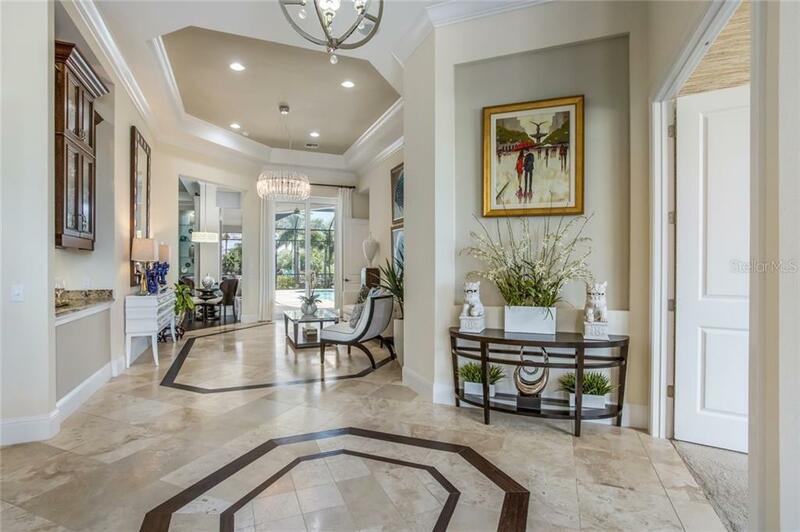 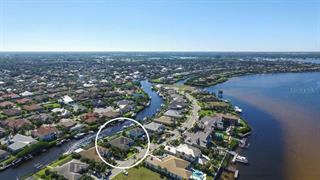 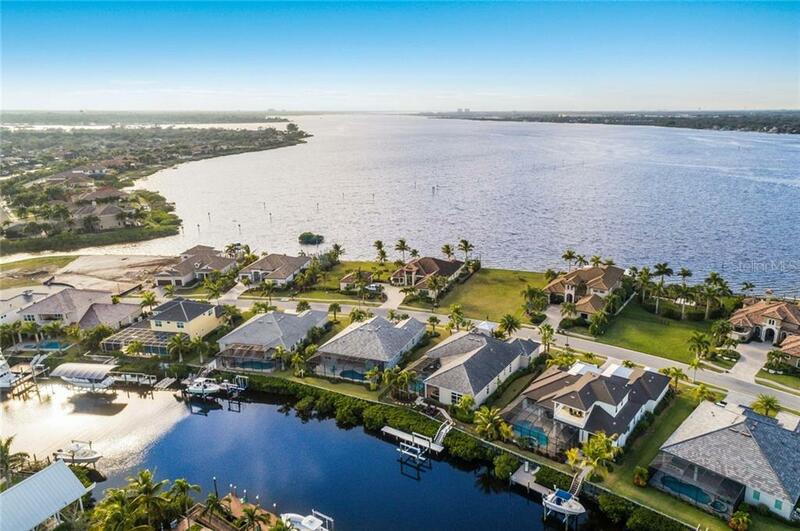 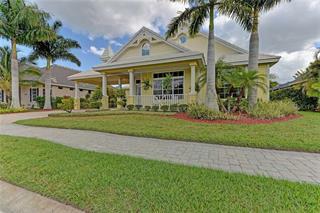 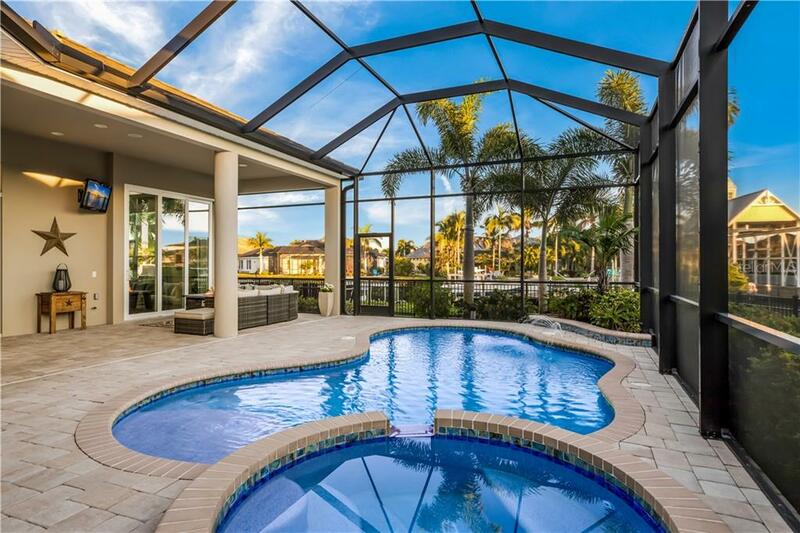 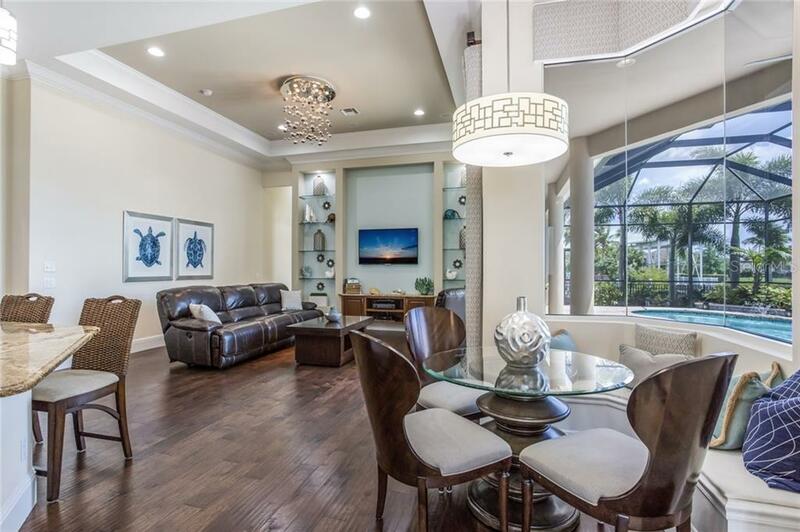 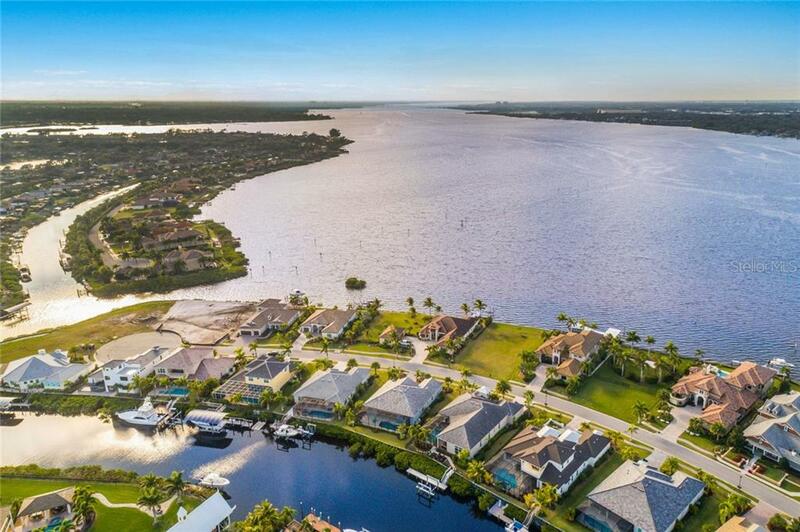 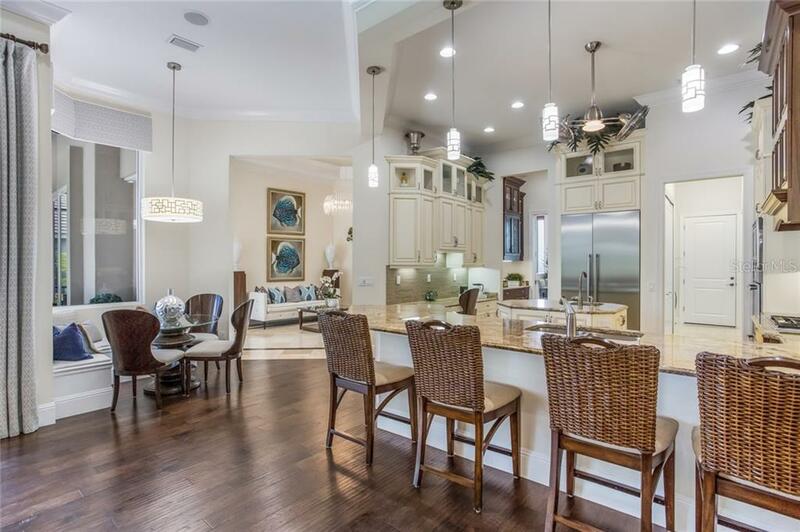 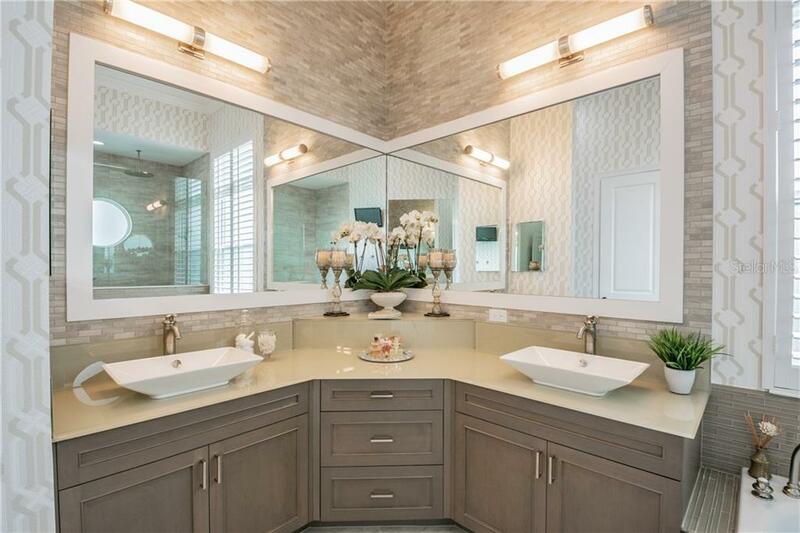 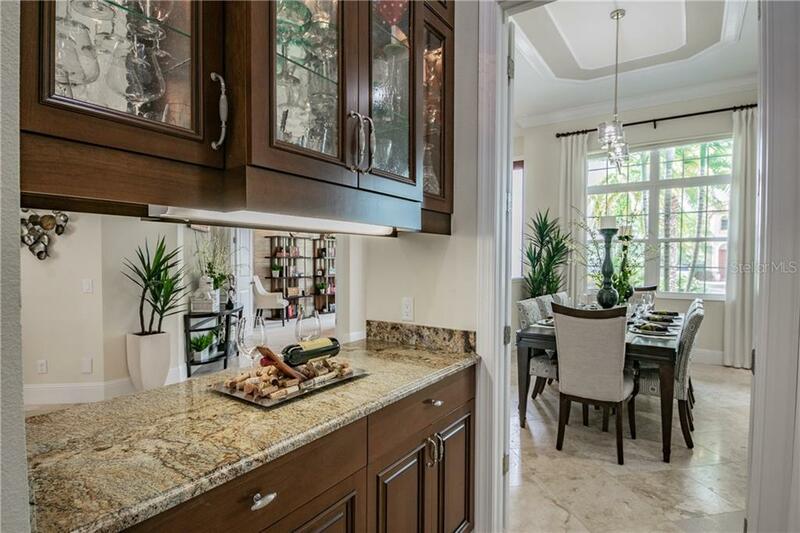 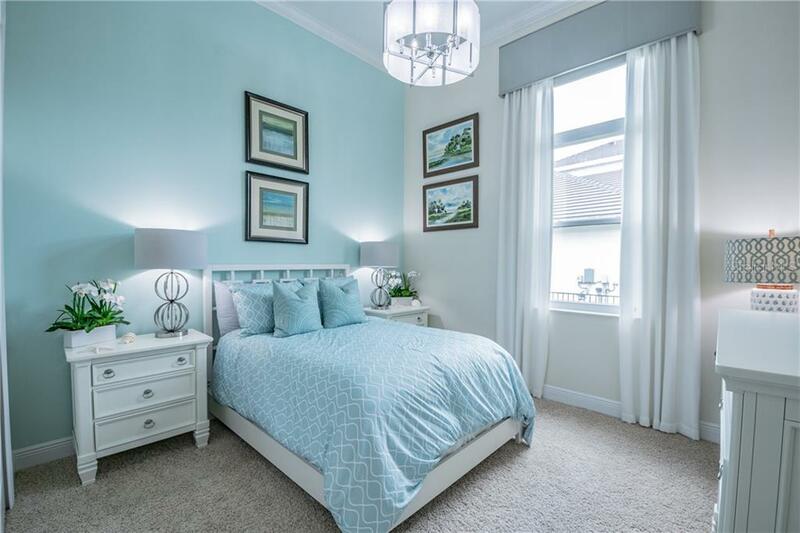 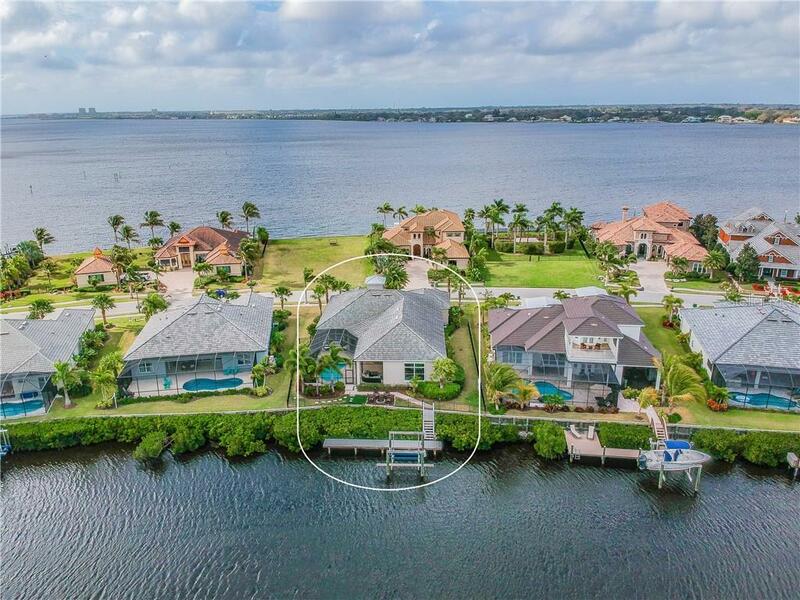 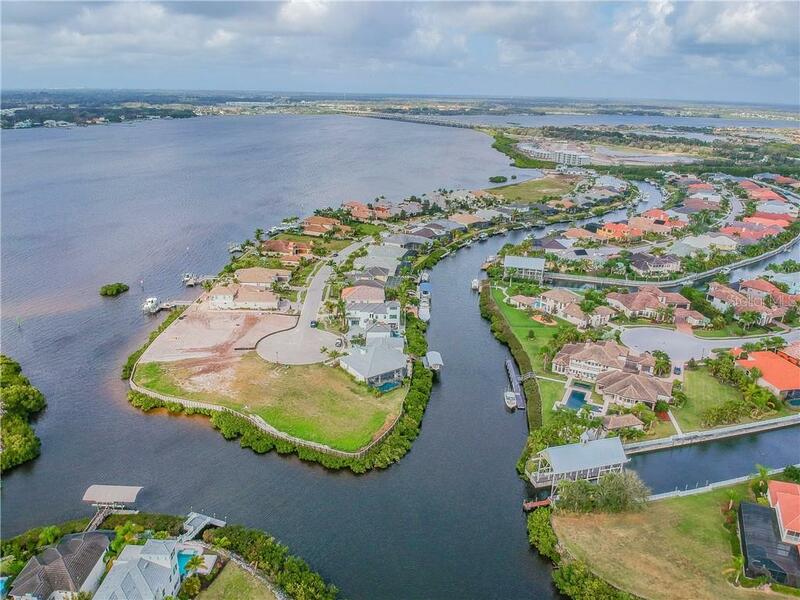 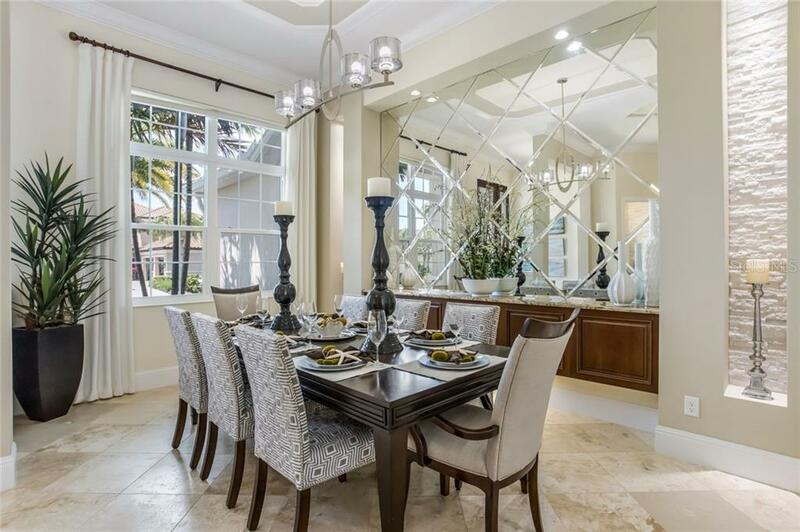 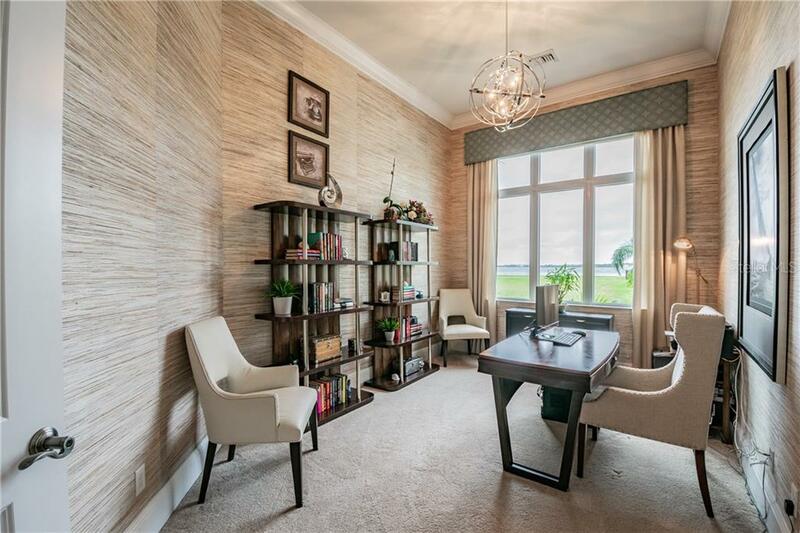 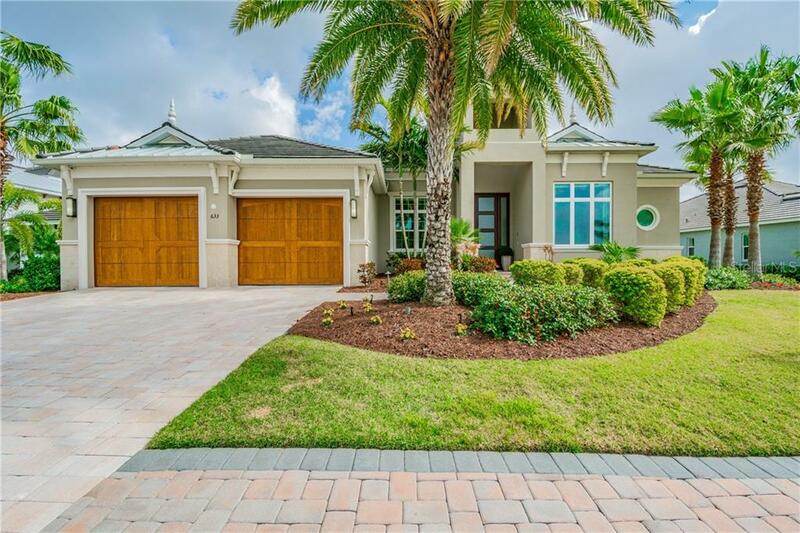 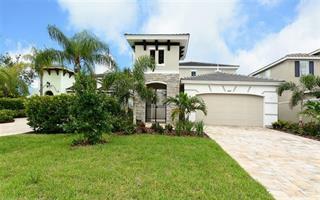 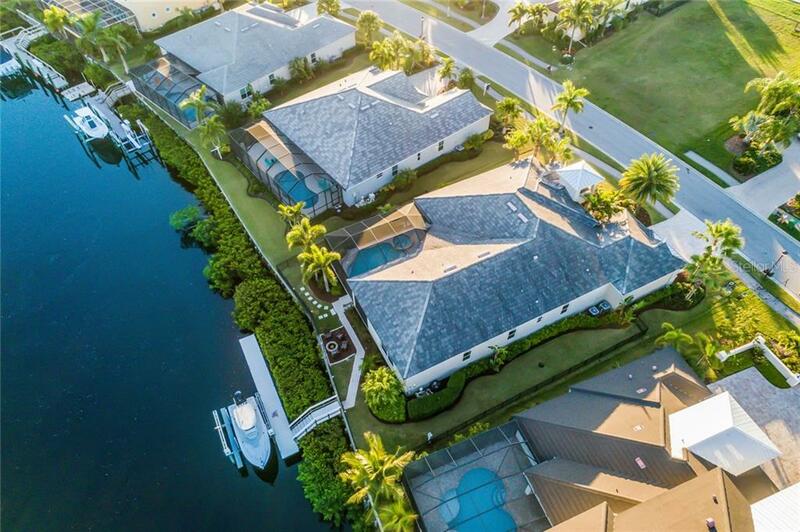 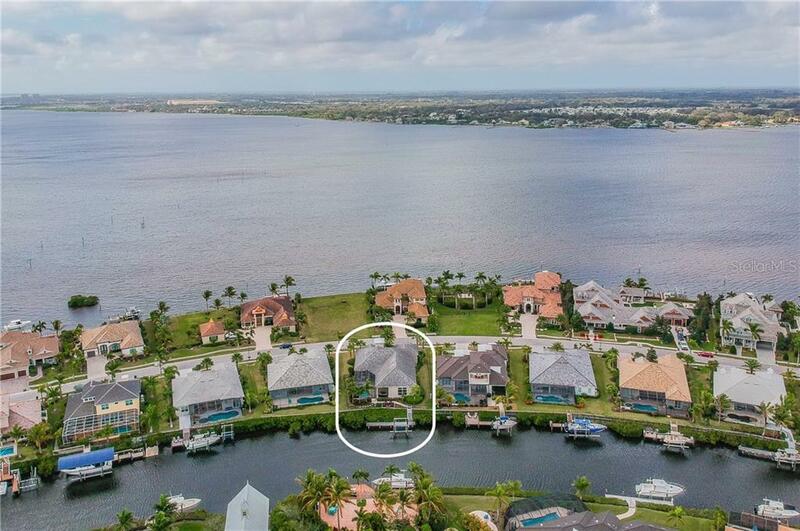 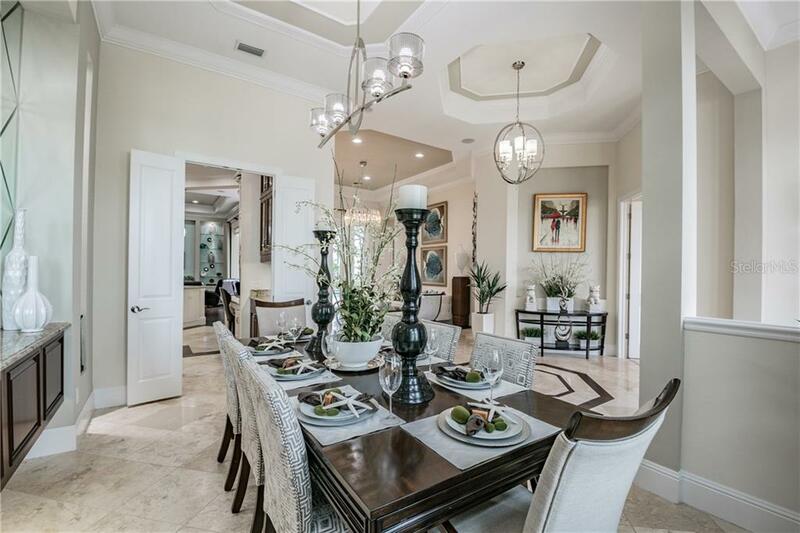 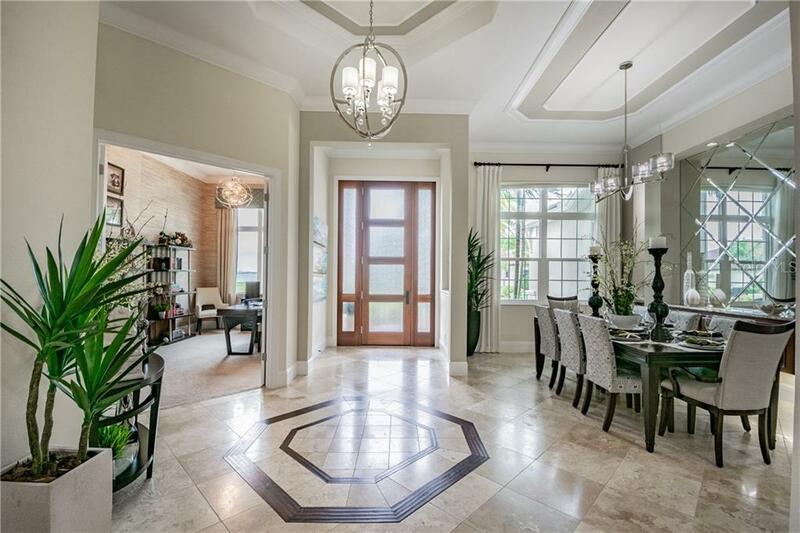 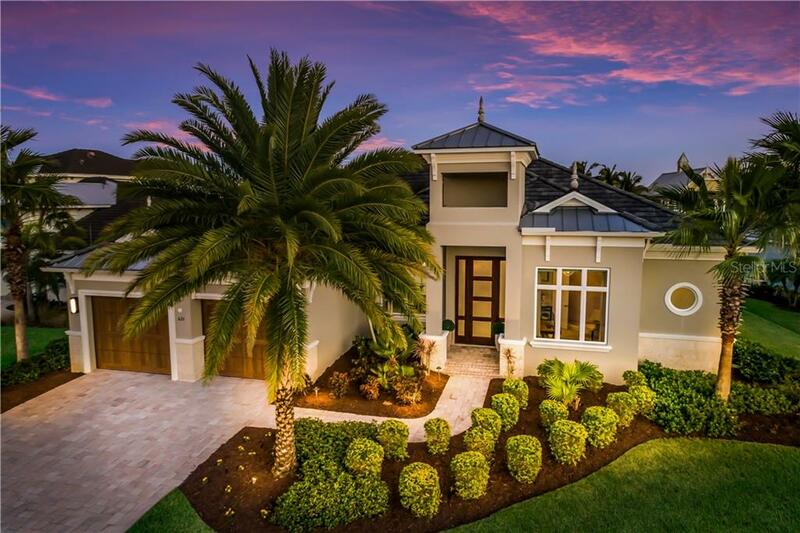 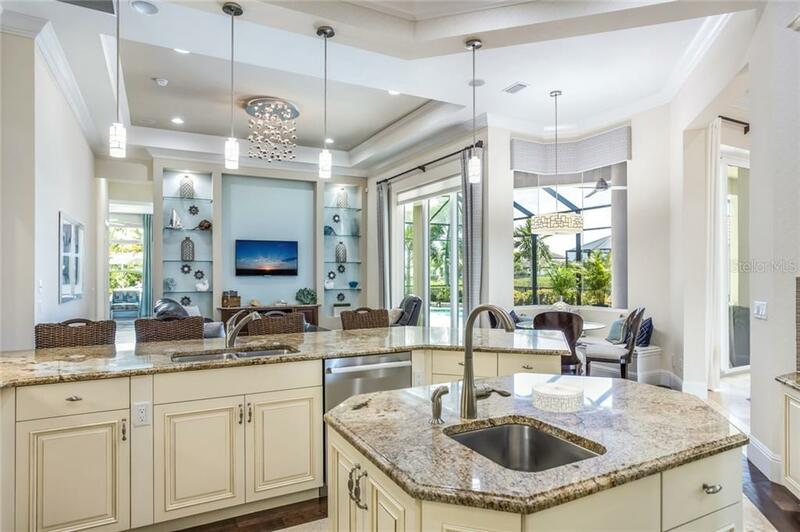 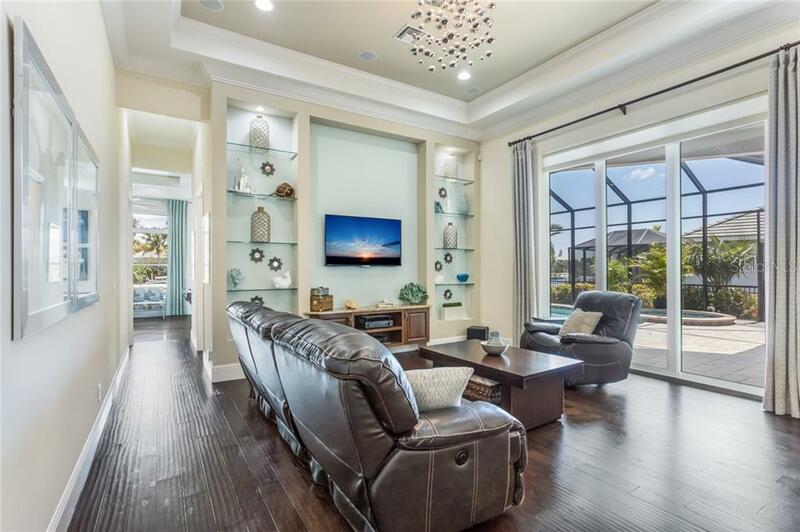 Live the Florida luxury lifestyle in this gorgeous former model home in the gated boating community of The Reserve at Harbour Walk within The Inlets. 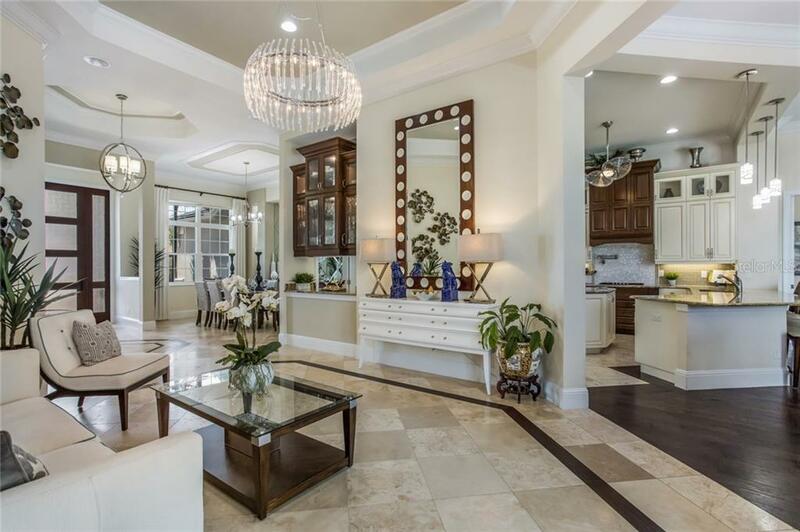 This estate has all the bells & whistles and will not disappoint! 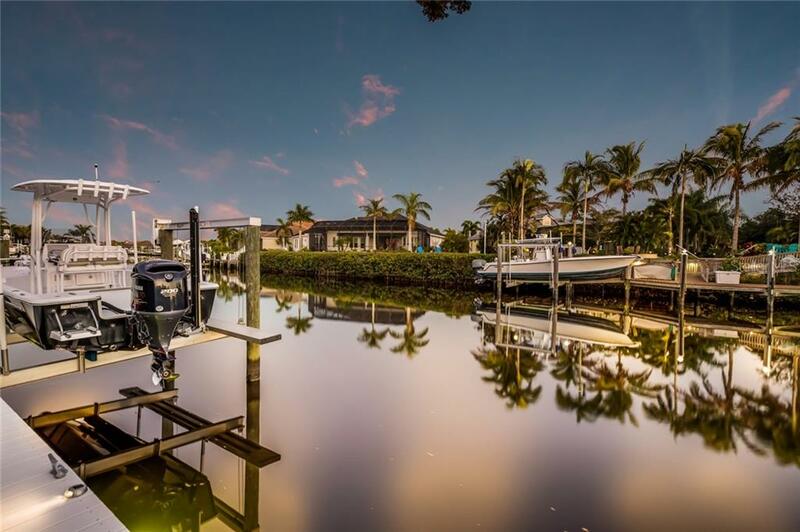 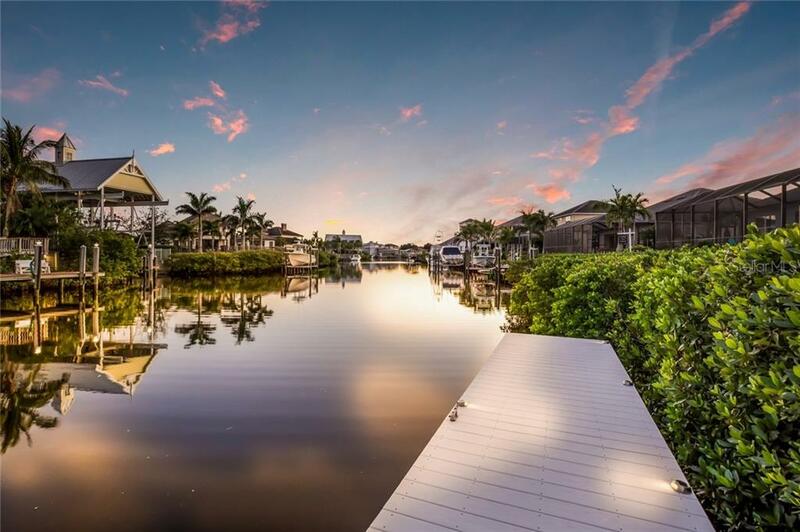 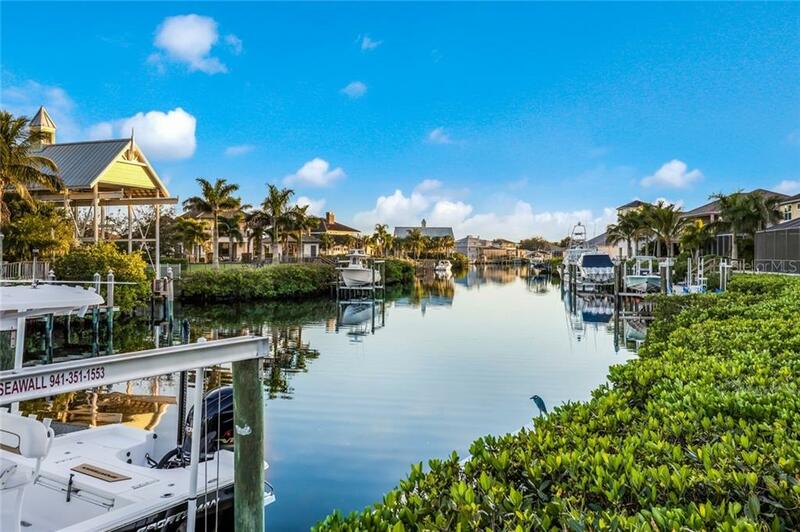 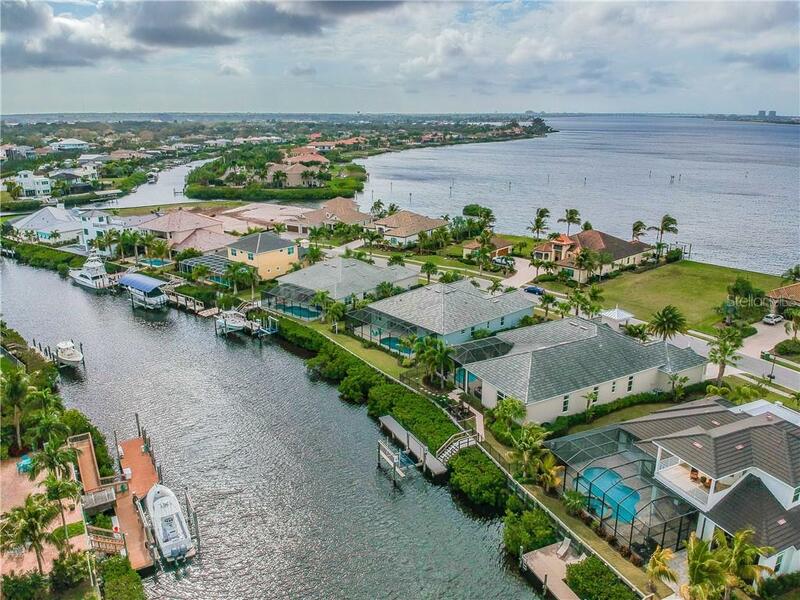 Situated on a deep ... more.saltwater canal that is less than 2 minutes away from open water, this home is a boater’s dream - an extended dock w/water & electric and a 10,000lb boat lift. 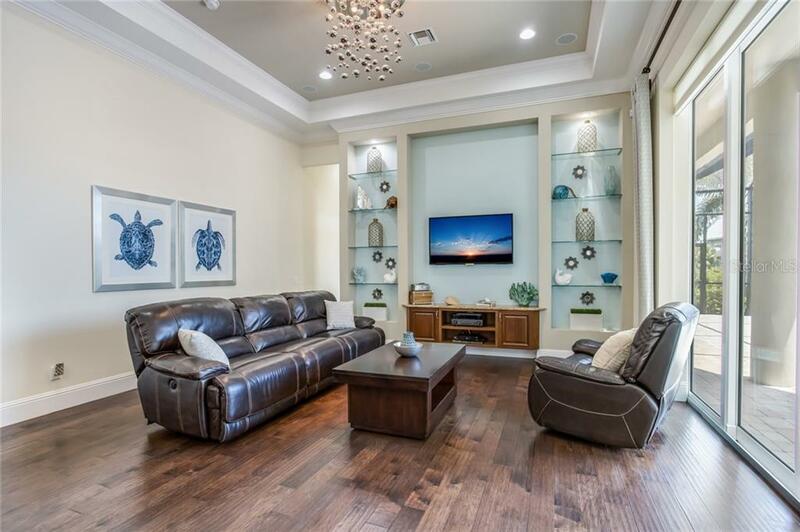 This estate features soaring 12 foot ceilings, crown molding throughout the entire house, tray ceilings, coffered ceilings, 7” baseboards, central vacuum, and many built-ins. 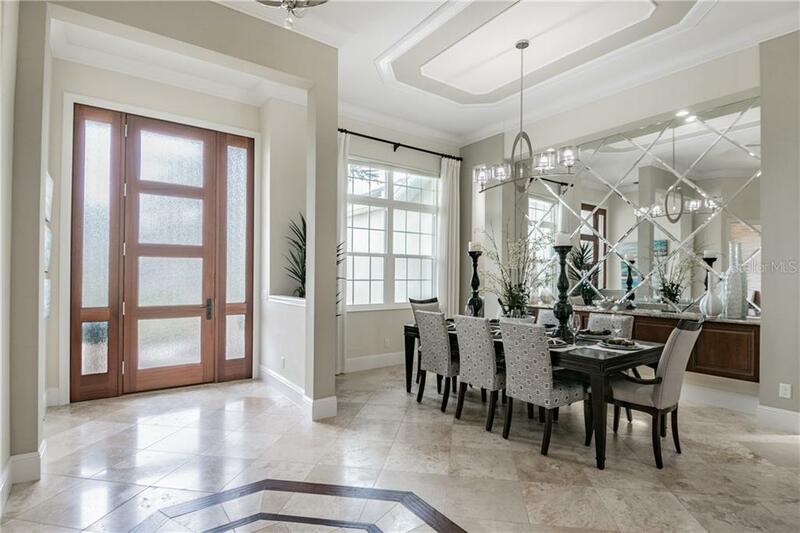 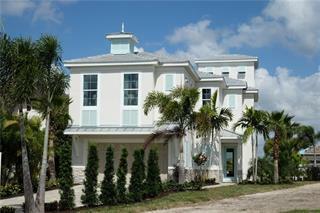 This home also features incredibly durable hurricane impact windows and doors throughout. 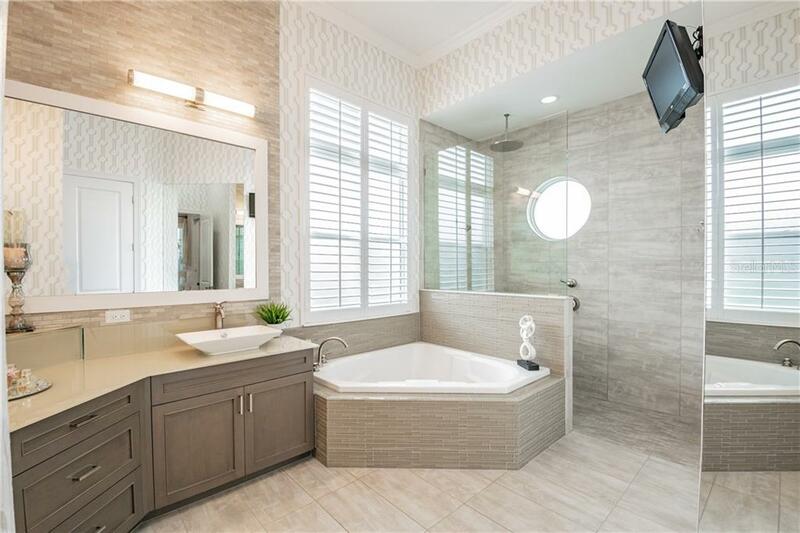 No hurricane shutters required! 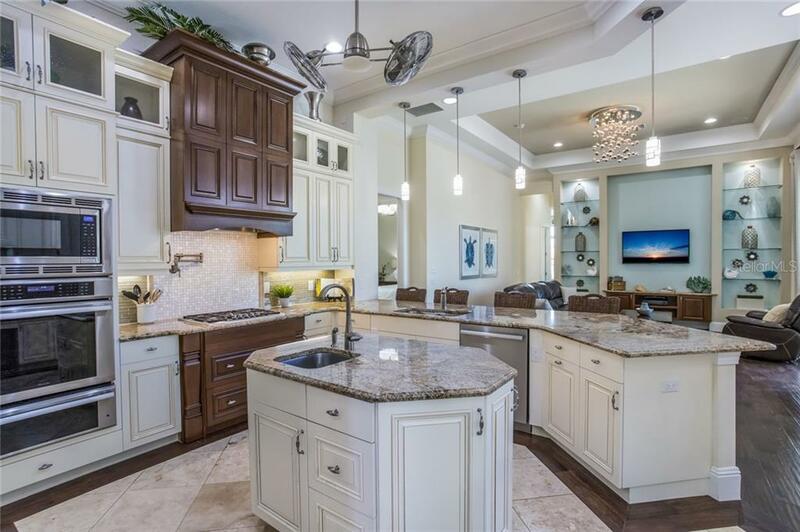 The kitchen features tall, double stacked hardwood cabinets; a center island with a sink, gas cooktop w/pot-filler feature, Thermador appliances, & a built-in desk. 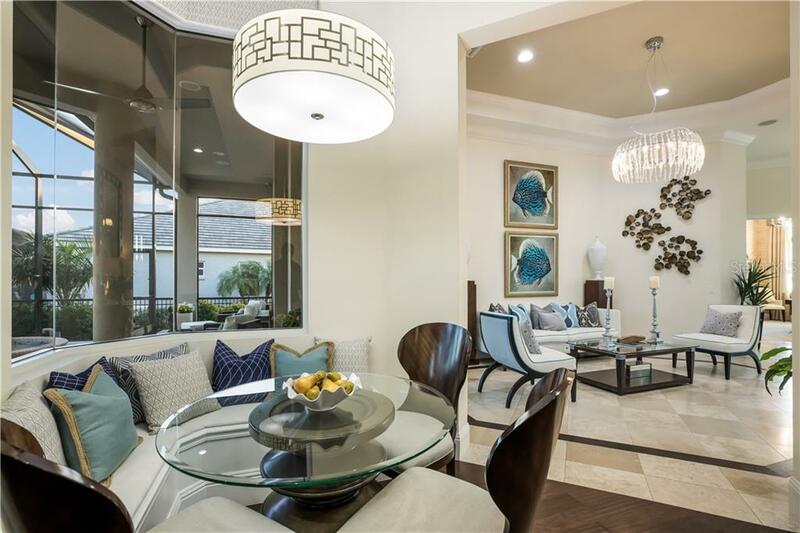 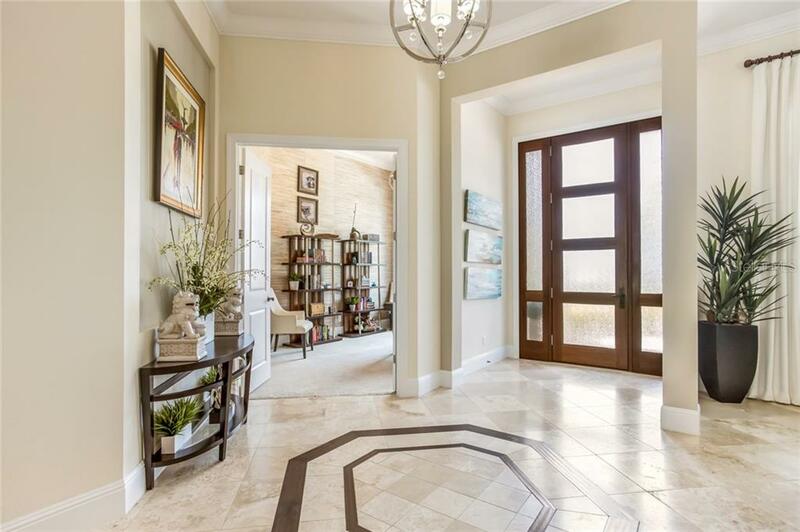 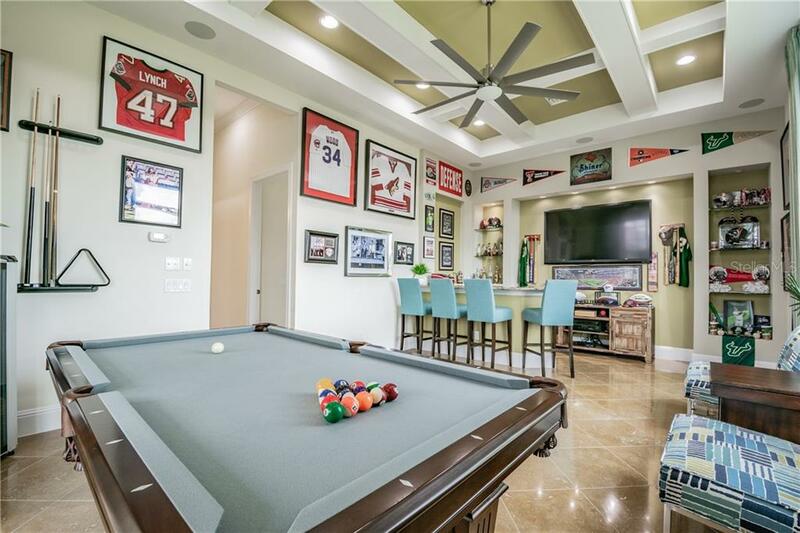 Other details include travertine flooring w/wood inlays, dry bar, oversized garage, brick pavers, LED landscape lighting, video surveillance, a large laundry room & more. 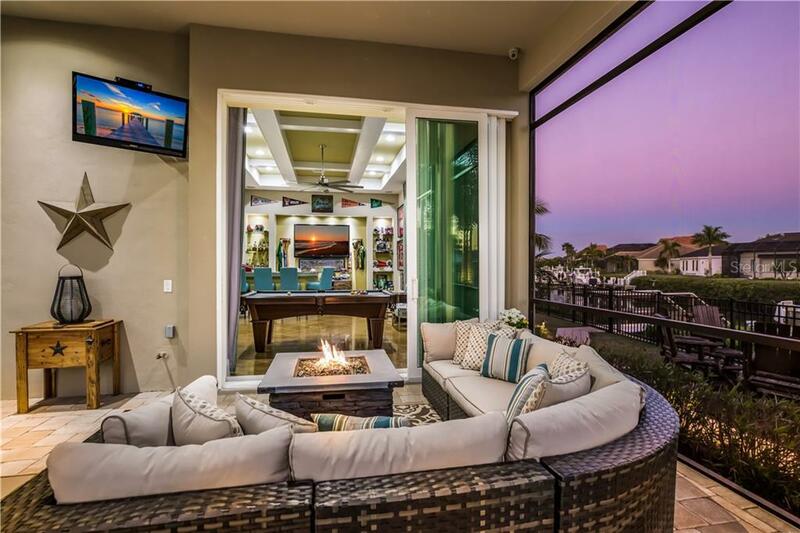 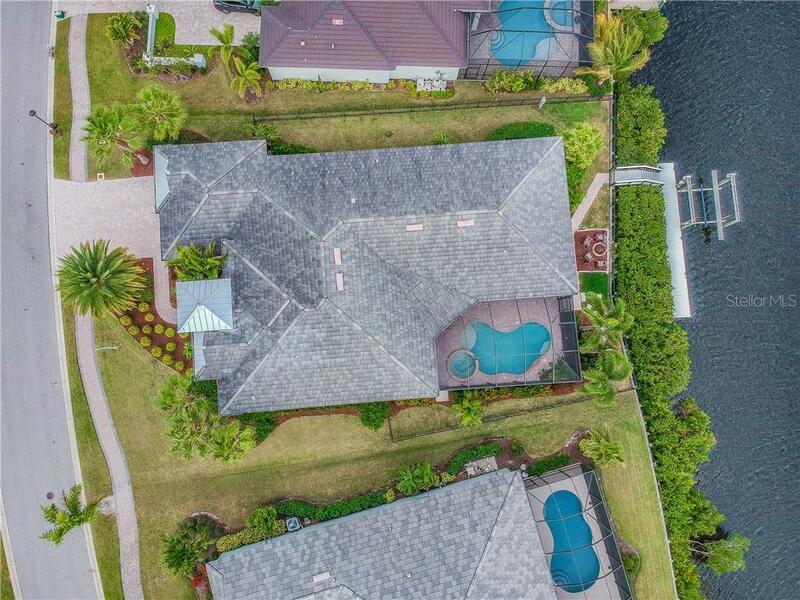 This professionally decorated coastal contemporary home is built on an amazing lot that is not only elevated, but it is a deep lot to accommodate this one-story estate. 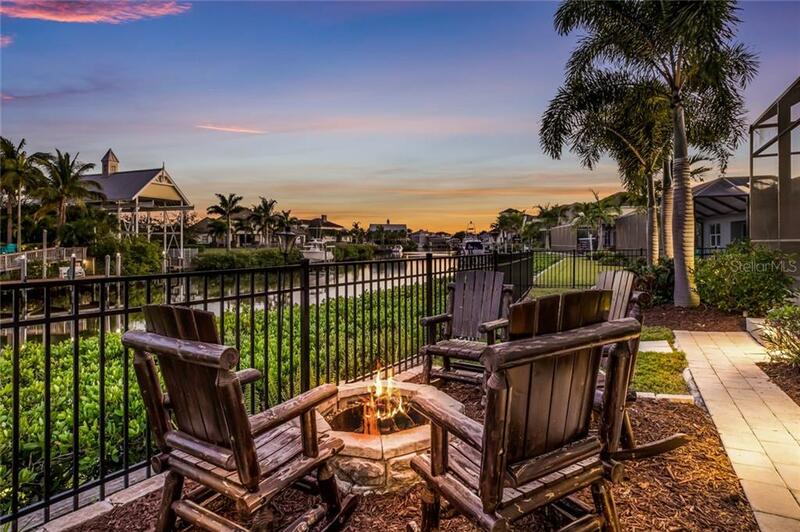 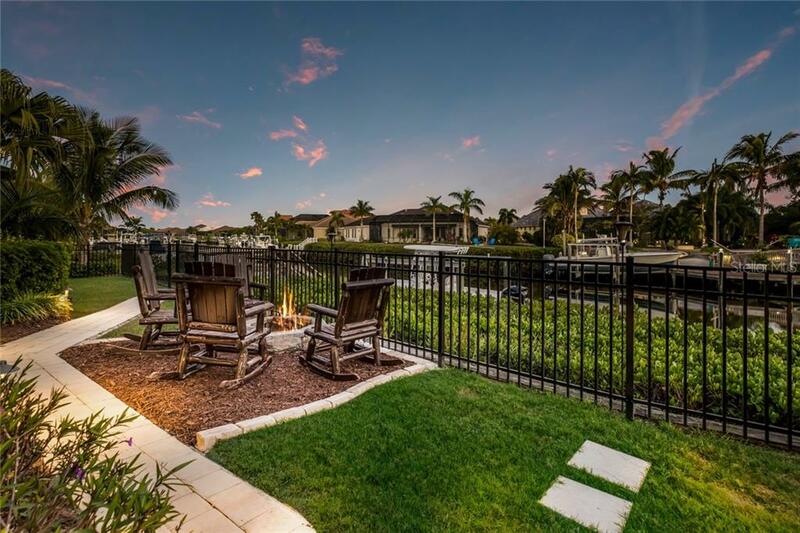 After a great day on your boat, you can enjoy watching wildlife & manatees in the saltwater canal while enjoying the cozy firepit in your fenced backyard-steps away from your boat. 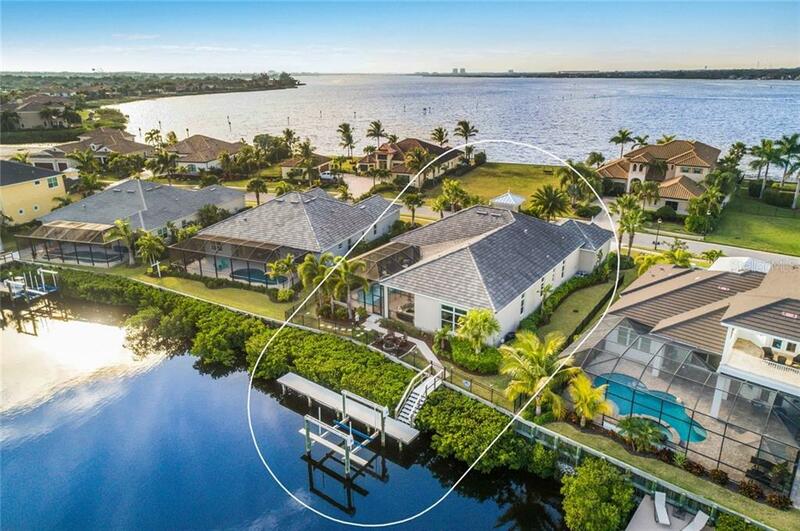 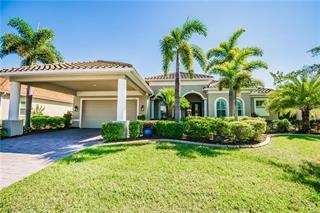 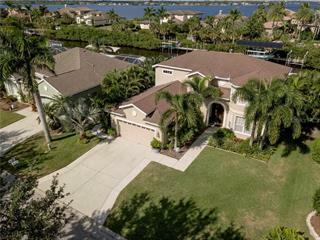 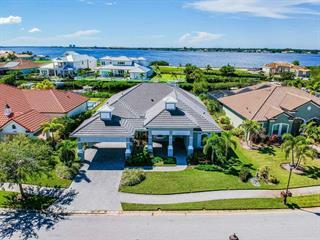 This rare, gated boating community is just 5 minutes from I-75 -convenient to shopping, restaurants, the beaches, Tampa, St. Pete & Sarasota airports.